Stealing or Sharing: Are Your Kids' Downloads Legal? Kids say it all the time: "I downloaded it free off the Internet." But was it legal? 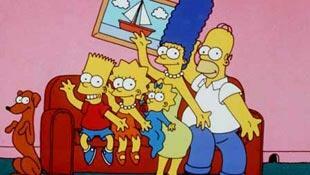 Is Your Family More Simpsons Than Waltons? Check out our favorite TV shows for the modern family. Do you know who your kids look up to? Can 3-D Movies Be Harmful? Don't go lightly into that 3-D movie. What you need to know about 3-D.
What can you do to help your kids? Find great tips on everything from avoiding violent tv to online safety. Give Us a Minute, Get a Lot of Common Sense! This will never be displayed to others. Your email will never be displayed to others. Your password should be 6-10 characters long. Your family's privacy is our highest priority. To post a review or comment you must become a Common Sense Member. It's easy! It will appear when you post your own reviews and recommendations. We never display your children's names, (or nicknames) to anyone, but you. Providing your children's ages allows us to personalize information on our site, so you get better information, faster. We can make Common Sense just right for you. With a little info about you and your family, you'll get the most out of our site. You'll see the movies, games, books, shows, music, and sites our editors select just for them. As your children get older, our picks will grow with them! Register to add this school to your profile. You'll be able to see and share reviews from parents, teachers, and kids at your child's school. I'm already a Common Sense member.